When organising an event at a Phuket conference venue, it is obviously important to consider who you’re going to invite. One group you maybe haven’t considered is so-called ‘influencers’ – the new star players in the marketing world. Ostensibly no better qualified to market the product or service your conference is promoting than a traditional marketing service, influencers have been growing as a major…well, influence, especially with B2C (business to consumer) industries. They can also have an impact on the B2B industry too, though, which is especially relevant for event planners and other MICE professionals. An influencer is exactly what the name suggests – someone who influencers others. Especially prevalent in the leisure travel, fashion and food industries, they are generally influencing people to buy and use a certain product or service. You would think that ordinary marketers do this already, but the distinction is that a marketing division does so from the side of the product or service provider, while an influencer appears to do so from the side of the consumer. Why should you invite such people to your Phuket conference venue? Well, apart from anything else, research is showing that consumers are increasingly trusting influencers over brand marketing. Incorporating influencers into your event is likely to be a vastly more effective method of transmitting your message to your target audience than, for example, inviting the local press. As stated above, influencers are mostly prevalent in leisure industries, so how is that relevant to MICE suppliers? The answer is in their audience. Influencers generally have a highly specialised readership for their blogs and other content they create. A fashion blogger, for example, will be almost exclusively followed by fashion-conscious readers looking for the next big trend to get involved in. This means that their content is exposed to a customer-rich atmosphere. 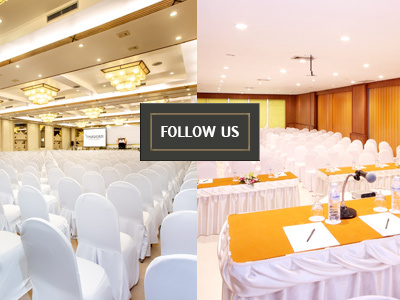 Inviting an industry-specific influencer to the Phuket conference venue where you are holding your event will mean that the messages you wish to transmit are going directly to the people most likely to be interested in that message. An influencer attending a food and drink event, for example, will be able to transmit information to those most interested in food and drink and those most likely to invest in whatever you are offering. By contrast, an article in a general features magazine may only interest a small fraction of the publication’s total readership. The important aspect to consider, when it comes to inviting influencers to your Phuket conference venue, is that the return on investment can potentially be very high, assuming that you invite the right person. Getting one skilled influencer to your event could mean articles about you with top Google rankings, great affiliate sales, increased interest in your product, increased brand awareness and higher conversion rates. The explanation of how to pick the right influencer will follow in a later post.